Hood’s Gardens, Inc. is a wholesale greenhouse growing annual flowers for the professional landscape market and independent garden centers. We are located in central Indiana, southeast of Noblesville at 11644 Greenfield Ave. (formerly State Road 238) and northeast of Indianapolis, not too far from Interstate 69. 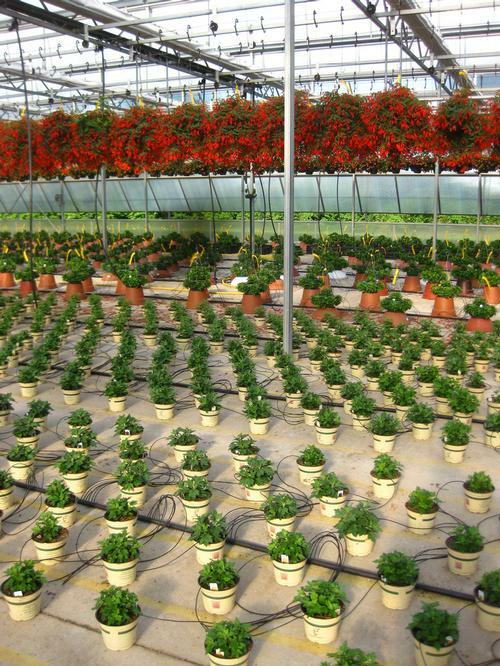 Each year, the annual production starts with plants that can take the early spring cool temperatures. In mid-March the greenhouse appears as if a quilt were laid across the floor with all the vibrant colors of the spring pansies.